Gaming headsets aren’t for the faint of heart. They are for the serious gamer who wants to fully capitalize on everything a video game has to offer, from the engrossing score to the heart-wrenching insults your likely to receive while playing Call of Duty with strangers. But whereas a decent headset used to cost you an arm and a leg to purchase, you can now pick one up for next to nothing if you should so desire. It appears you no longer need to be a “serious gamer” to enjoy next-level audio euphoria right from the seat of your couch sans a high-end stereo system. Gunfire never sounded so great. Here are picks for the best wired and wireless PlayStation 3 headsets so you can take all your audio needs to an entirely different level. Just go easy on the mic — that “sticks and stones” phrase isn’t entirely true when it comes to eardrum-splitting screams. 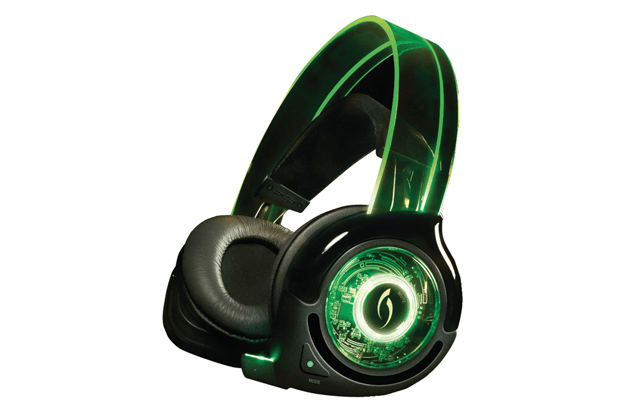 Make sure to also check out our continually updated best headphones based on our experts’ reviews and ratings as well as our choices for the best Xbox 360 headsets and overall best gaming headsets. 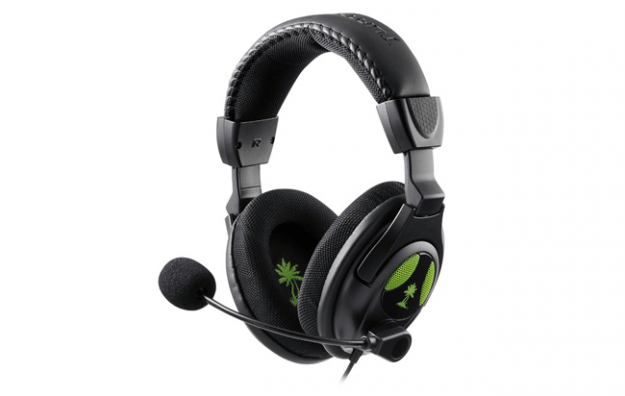 For more in-depth reviews, also take a look at our gaming headset and headphone review section. 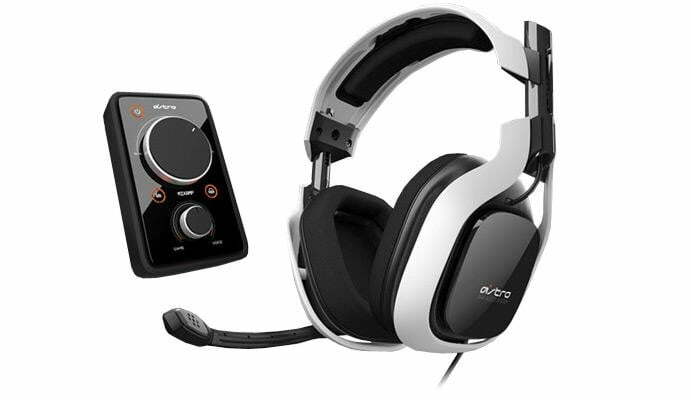 Despite being one of the older models in the Astro Studios lineup, the Astro Gaming A40 remains one of its flagship products to this day. The San Francisco-based company was purchased by Skullcandy in 2011, but continues to churn out unique headsets — the A50 model being the newest — and all of its products boast a serious feature set and ample power to match. 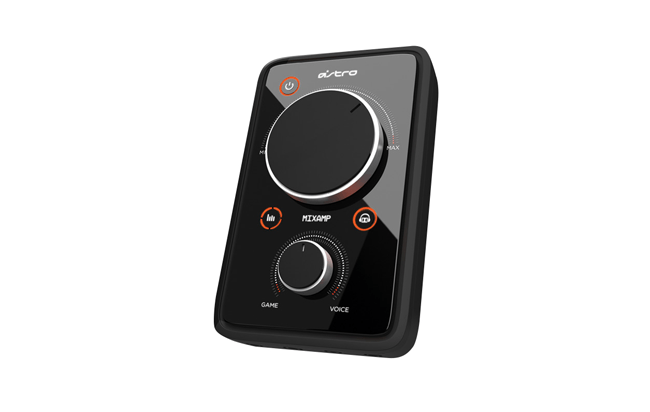 The revamped wireless A40s feature a removable mic, customizable speaker tags, Dolby Digital 7.1 surround sound immersion, and game-to-voice balancing via the bundled MixAmp Pro. Other updates to the mixer include multiple equalizer presets, private voice network capabilities, and a port to output your voice that provides an easy avenue for those looking to live stream their gaming on YouTube or another streaming website. 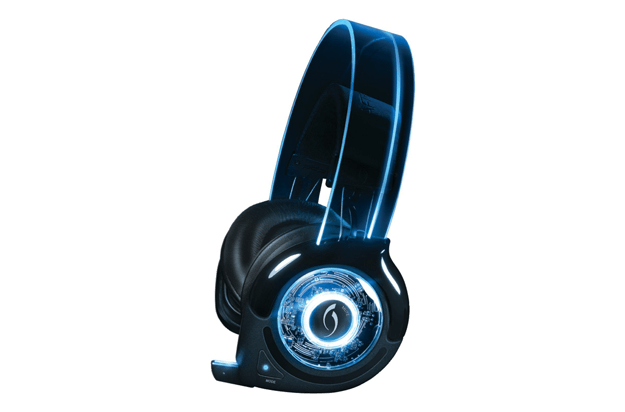 The headset sounds great (crisp highs and punchy bass) and the light, flexible design of the frame and comfortable over-the-ear cushions make marathon gaming sessions whiz by without any unnecessary fatigue or strain on your ears. 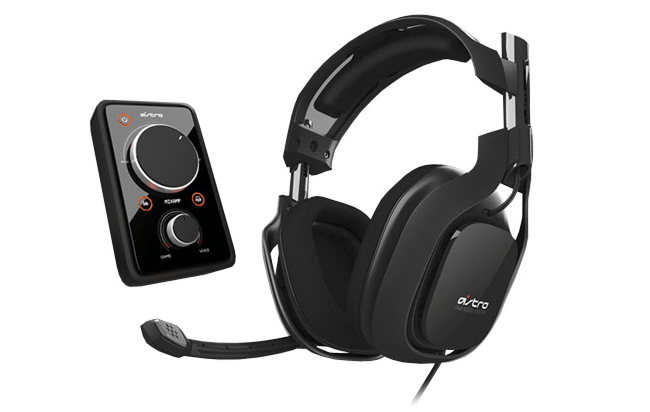 Obviously the price is enough to leave some hesitant, but if can cough up the means to bite the bullet, then you can’t go wrong with the A40s. 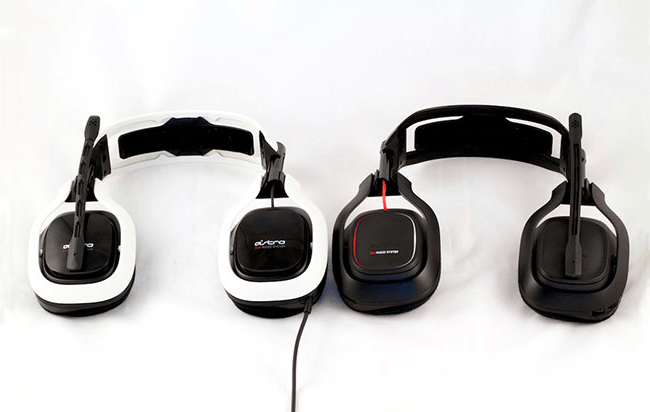 Check out our Astro A50 review for a close look at some of the company’s other offerings. Equipped with eight (yes eight) precision-balanced speakers and custom volume levels for each channel, Tritton’s AX Pro are a powerhouse of True 5.1 headset audio and skull-rattling design. The headset has undergone several cosmetic changes as of late, but they’ve all involved appearance and aesthetics opposed to any kind of actual hardware overhaul. The detachable mic now bends, the padded ear-cups now swivel freely, and the headset’s polished outer casing is more attractive than it’s ever been. The headset does a great job of emulating 3D environments after a bit of fine tuning and tweaking, providing 5. 1 audio customization to fit the differing sound dynamics of any game you might pick up, but it still suffers from the same audio faults of any headset trying to replicate surround sound. However, the overall sound is still top-notch and the contoured, over-the-ear headphones fit comfortably for extended periods. The bundled onslaught of cables is irksome and the headpiece can get a little warm at times, but neither issues are of utmost concern if superior audio quality is what you seek. 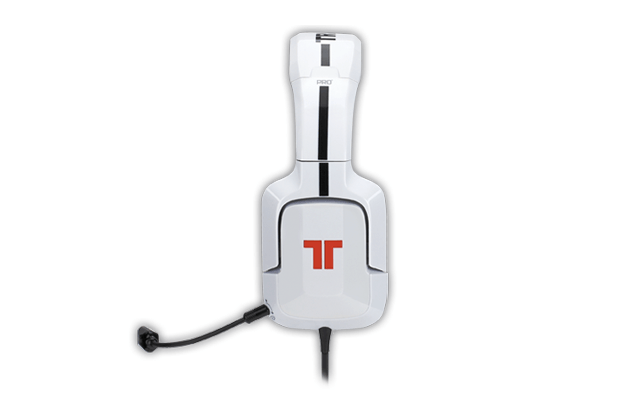 Alternately, check out our Tritton Kunai review for another affordable gaming headset with commendable audio balance and precision. 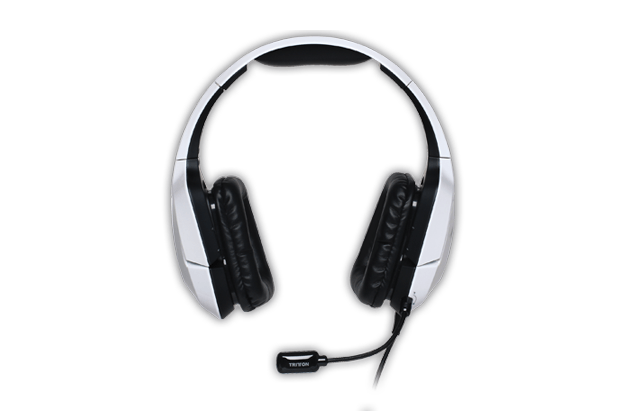 The Creative Sound Blaster Tactics 3D Omega headset is one of the best in the Creative lineup regardless of its cumbersome name. The jet-black wireless headset is equipped with a detachable noise-canceling flip-down mic, convenient onboard controls, and illuminate ear-cups housing two 50mm stereo drivers capable of delivering some of the clearest midrange and treble levels of any headset on our roundup. The 3D audio works rather well — you can often pinpoint footsteps behind you at gunfire at your sides — but the bass can be muddy at times despite the other crystal clear audio components. The design is also rather hefty compared to other similarly equipped headsets, but the snug fit of the earcups only aids the laudable noise isolation and overall audio immersion of the headset. It’s wireless, but it can still be used while charging, resulting in little to no downtime. Unlike other flashy, dedicated gaming headsets, the Blaster also works great as an everyday multimedia headset if you simply detach the mic. We can’t say the same for every gaming headset out there. 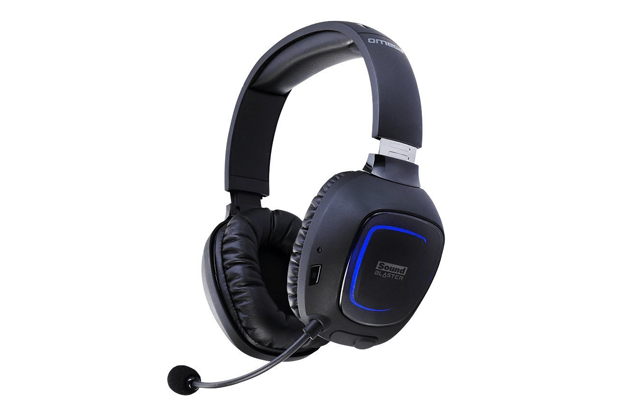 The Creative Sound Blaster Tactic 3D Omega headset (say that three times fast) is a nice option for all-purpose gaming, regardless of the high price tag. Be sure to take a gander at our Creative Sound Blaster Tactic 3D Sigma review another solid, yet cheaper, alternative to the Omega. Don’t let the Afterglow Wireless Universal Headset’s Tron-esque earcups fool you, the headset sounds just as sonically rich as it is flashy. 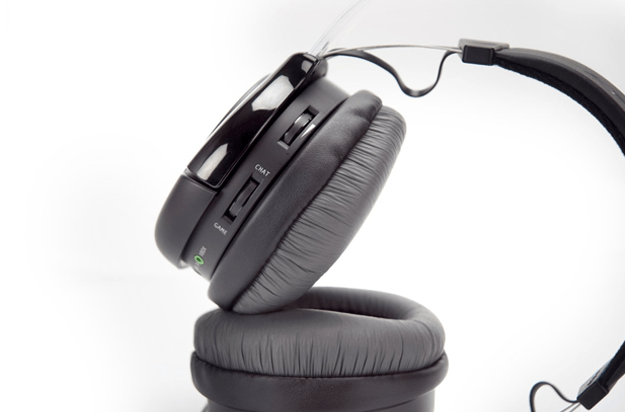 The wireless headset features two 50mm Neodymium speakers housed in its angled acoustic cavity, producing wide stereo sound that renders a surprisingly convincing sound field despite the lack of the 7.1 surround sound. 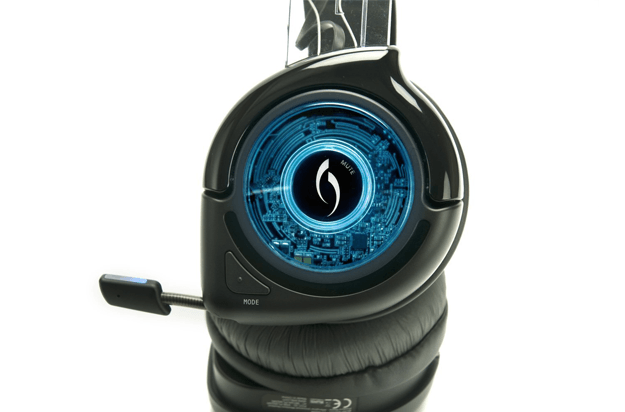 The headset is equipped with three different EQ settings (raw audio, bass-boost and immersive), all of which alter the sound space to suit the different types of media you may listen to while using the headphones. Although they are meant to be worn for late-night gaming sessions, touting a 10-hour rechargeable battery that be charged via mini-USB, they fit rather tight on the head given the taut fabric headband that stretching between the LED-light-lined structural components. 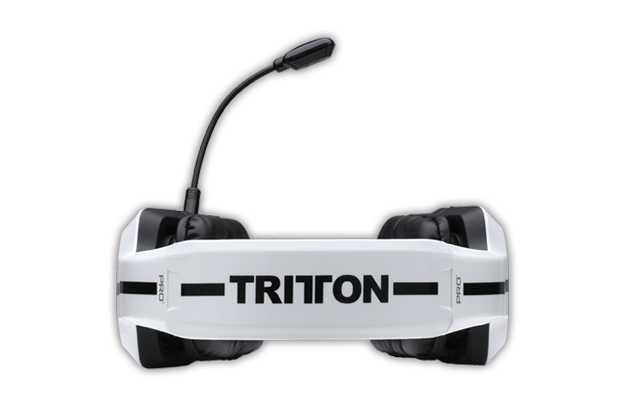 Other features, such as the extendable mic and balance controls on the left earcup, help make the budget headset well worth the modest price tag. Also, be sure to check out our PDP Afterglow review for a more in-depth look at the headset and our comprehensive hands-on assessment. 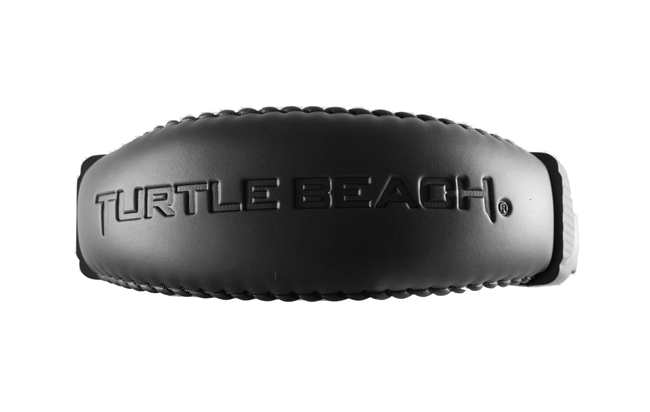 There is no way to throw together a list of gaming headsets without mentioning Turtle Beach. The New York-based company has made some of the best gaming headset on the market for years, so much so that the company even partnered with Microsoft to produce headsets exclusively for the Xbox One. 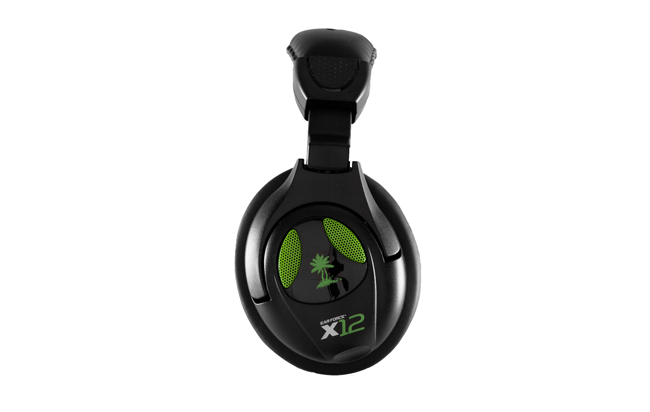 Although Turtle Beach boasts many high-end gaming headsets, such as the XP Seven and XP510, the Ear Force X12 represents the most affordable option in terms of budget headsets. The X12 hasn’t been refreshed in some time, but it still holds up magnificently, providing great sound and a notable mic monitor through the two 50mm-diameter speakers. The virtual sound isn’t on par with higher-end headsets, but still offers a keen sense of place and solid voice intelligibility given the built-in amplifier and coupled sound controls. It’s not wireless — it comes with a beastly 16-foot chord that’s likely overkill for your living room — but the design is both sturdy and comfortable, allowing for long-wear use without becoming an irritating nuisance. 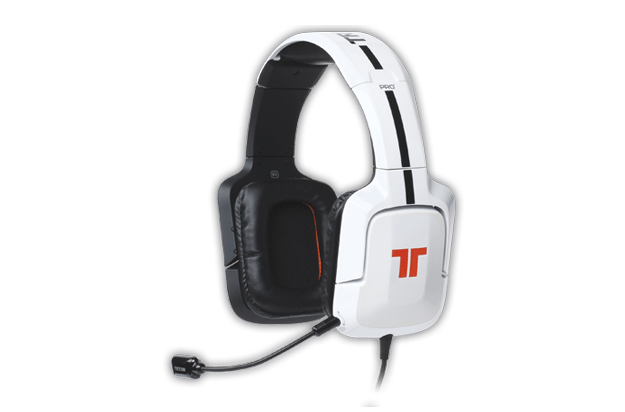 It’s certainly not the best Turtle Beach headset, but you can’t beat the amount of quality it offers for the price. 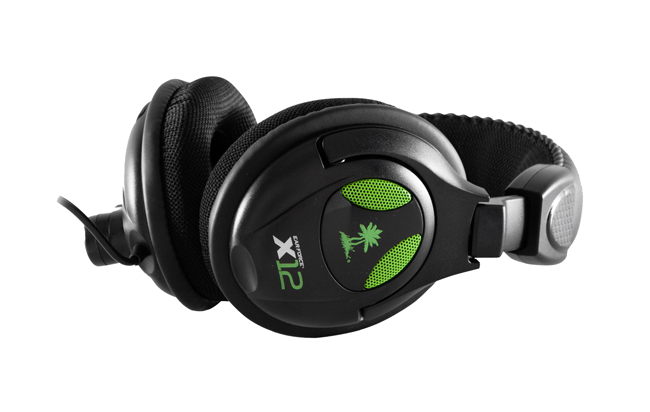 Take a closer look at our Turtle Beach Ear Force X12 review all the detail or check out our reviews of the XP Seven, XP510, X42, XP 32, PX3 or the PX5 for more of the Turtle Beach lineup. What did you think of our picks for the best PS3 headsets money can buy? Do you have a better recommendation? Let us know in the comments below.